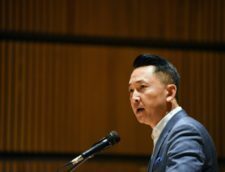 Viet Thanh Nguyen discusses his personal experiences as a refugee and the current refugee crisis in this interview with eFM This Morning Seoul. Alex Jensen: Now, to celebrate our new fall season, we have a special guest. An English professor and novelist, Viet Thanh Nguyen, who won the 2016 Pulitzer Prize for fiction for his debut novel, The Sympathizer. Professor Nguyen joins us now to tell us about his firsthand knowledge of being a war refugee, stories of overcoming cultural challenges, how he empathizes with the ongoing refugee and migrant crises around the world and how he melts all this into his writing. Thank you so much for taking the time. Viet Nguyen: Thanks for having me, Alex. Alex Jensen: I’ve got to say, it’s just an incredible feat to win a Pulitzer Prize for your first novel. Did you ever expect that? Viet Nguyen: I had no expectation of that at all. It was obviously a very pleasant surprise, a great shock, and I’ve just been spending the last couple of years trying to live up to it. 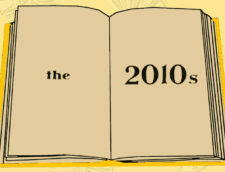 Alex Jensen: What were your realistic expectations, then, for this novel? How did it even come about, as I said, melding these real life thoughts and experiences into fiction? Viet Nguyen: I just wanted to write a novel that would be provocative and that would say something different about the Vietnam War, which is my history but also the history of the United States, of Vietnam, and history that involves many other countries, because the Vietnam War was a global, historical event. It includes South Koreans as well, for example, and I felt that … I’d read a large amount of material about this war, both in the American and Vietnamese perspective and felt that there was still something that remained to be said. That’s what the ambition of The Sympathizer was, and really, all I wanted was for the novel to be read and well received. Maybe win a small prize or two, but certainly not the Pulitzer. Viet Nguyen: The genesis for it was simply that my agent told me I had to write a novel, and I’ve always wanted to write one. I chose the spy novel genre because I like spy novels, but also because a spy novel allows me to get into many different kinds of historical and political issues and to also be an enjoyable read for the reader. Alex Jensen: Yeah, so you describe this as a man with two faces and two minds. I guess that’s kind of a description of many spies. Sometimes spies take on more than two faces and two minds. How do you, though, a professor and someone with an interest and genuine background in Vietnam, yes, as you said, with an interest in spy novels, actually write something believable in that genre? Viet Nguyen: Well, I’d read, again, a great number of spy novels and had read a great degree of literature and history about the Vietnam war, so I think I already was familiar with both the genre of the spy novel and also with the details of the history, and I’d also, by that time, written a book of short stories, so I at least knew a little bit about how to write fiction, but writing a novel was certainly a leap of faith. I had never written one before. I had no idea if I could or not, and simply because my agent told me and I had to do it, I began. What was really amazing to me about that experience was that this was the right book for me at that time. I really wanted to tell this story. I really felt like I had an intervention to make into the stories that had been told about the Vietnam War in the United States, in Vietnam, all over the world. My passion and my capacity as a writer and my interest in this genre and this history all came together very fortuitously for me. Alex Jensen: Maybe we can just elaborate a little bit further without giving away too much. You said before, as well, that you felt there was something more to say about a subject that’s been so widely covered in history books and the creative medium. What exactly or what kind of areas were they? Viet Nguyen: I think in general when people tell war stories, it doesn’t really matter whether they’re Americans or Vietnamese or Korean, they tend to tell stories that express their own side, their own passions, their own interests, their own convictions, and that was certainly true of the Vietnam War. Almost everything I read was told from one nationality or one side’s point of view. So, hundreds and thousands of American books, for example, as important as they were, kept reiterating that this is an American experience. Then you go to the victorious Vietnamese side. Again, they emphasize what happened to the victorious Vietnamese. You go to the South Vietnamese side, they dwell on their experiences and their losses. Viet Nguyen: I thought that there was … There needed to be a book that could talk about all those different sides, those different perspectives, to be empathetic with all of them, and yet to criticize them as well, because my reading of the war was that it was a tragedy not because one side was right and one side was wrong, but because all the different sides had reasons, legitimate reasons, to believe that they were right, and that’s what the crux of the novel is. I mean, besides it being about a spy who gets caught up in all this history, it is a novel about this tragedy as seen from all sides, and what’s criticized is all sides, because all sides committed various crimes of atrocities and did terrible things, and what makes them have something in common is that they all choose to emphasize their own humanity and to deny that they ever did anything wrong. This novel tries to be empathetic to everyone, but also holds them to account for the terrible things that they did. Alex Jensen: It makes me think of ourselves on this peninsula confronting a very difficult history, often through victimhood, but also through the lens of Vietnam, tensile atrocities as well. It calls to mind exactly what you were saying before about two sides or two faces, two minds almost, on the same kind of issue. Viet Nguyen: I know a little bit about what happened on the Korean peninsula, what is still going on with this unfinished Korean War, and I also learned a lot about what the role of South Korea was during the Vietnam War, which doesn’t really arise in The Sympathizer, but I deal with it in another book called Nothing Ever Dies: Vietnam and the Memory of War, and I found it very fascinating because both North and South Korea are engaged in exactly the same dynamic. As you point out, they both believe in their own stories of heroism and they both believe that they are right and they both cast the other side as the enemy in various different kinds of ways, and they have a hard time acknowledging the validity of the other side. Viet Nguyen: I think part of my argument in my novel and in Nothing Ever Dies is that we won’t ever really be able to achieve peace until we acknowledge not just our own humanity and not only the humanity of the other side, which is hard enough to do, but our own inhumanity, what terrible things we’ve done, and certainly in the South Korean account of the Korean War, it’s all about South Korean heroism and very little about the atrocities that South Koreans have also committed. That is what happens, then, in South Korea memories of what the South Koreans did during the Vietnam War, but South Koreans remember that. They kind of remember their participation as a heroic one, increasingly so, as the years have passed, but the historical record in Vietnam shares a much darker history of what South Korea did there. Alex Jensen: We are the product of our history. We can’t escape that. We are also the product of our times, and if I may, given our time restraints, just shift to the present moment and the major problems of identity, consolidating ethnicity and nationhood together in the US, a country where that’s supposed to happen more easily than Vietnam and South Korea, where sort of ethnicity and nationhood are almost taken for granted as being so tightly woven. Viet Nguyen: You know, the United States is a country built on contradictions, which probably makes it no different than any other country, including Vietnam and South Korea. In the United States’ case, the particular contradiction is that it is a country that is founded on two completely opposing principles or histories. One is that it is a country that believes in democracy and equality and pluralism and inclusion, which is all fantastic. I love all those things, and yet the country is founded also on conquest, on colonization, genocide, slavery. These are undeniable facts of American history and they lurked there. They’re in our history and they are so completely embedded in our realities today that they continue to manifest themselves in various kinds of racism and nationalism and many of the current conflicts that are happening in the United States, I think, are a conflict between these two kinds of histories. Viet Nguyen: Because the United States has not really fully confronted the past, not really fully confronted what things like slavery or genocide have meant, we continue to have these eruptions in the American present around these unresolved historical legacies. Alex Jensen: That’s playing out with a crisis of how to deal with separated families, the whole, really unnecessary tragedy of separating children from their parents, sending parents back to Latin American countries while children are waiting and still waiting, in some cases for months, but your ideas on this go beyond just beyond a professor in the US with a Vietnam background. You, yourself, had the traumatic experience of being separated from your parents. Can you tell us a little bit more about that? Viet Nguyen: I came as a refugee to the United States in 1975 when I was four years old, when the Vietnam War ended and my family was on the losing side, and the United States took in 130,000 Vietnamese refugees because it felt an obligation to these Vietnamese that the United States had fought a war with. We ended up in the United States and in a refugee camp, and in order to leave these refugee camps, Vietnamese refugees had to find an American sponsor for them. No American sponsor would take my entire family, so one sponsor took my parents, one sponsor took my 10 year old brother, one sponsor took four year old me, and that’s where my memories begin, in being taken away from my parents. It was a very painful experience. I remember howling and screaming. Viet Nguyen: I don’t think I understood how painful that must have been for my parents. I don’t think I understood how painful it was for me. I suppressed that experience for decades and never really acknowledged the emotional damage that that did to me. Now, I’m the father of five year olds and I can see much more clearly how painful it was for my parents to have their son taken away from them. So when I see things like children being separated from their parents at the border, to me, it doesn’t matter whether this is a question of legality or whether people are documented or undocumented. I think we can have debates about how immigration policy should be conducted and so on, but I think we should not be having a debate about separating parents from their children. That’s inhumane, it’s immoral and it is shocking, but not surprising at the same time, that there are a considerable number of Americans who want to take a hard line stance on this policy. Viet Nguyen: Again, Americans are not unique. Many people all over the world would want to do the same thing, so this crisis at the American border is a crisis that we share with many other countries and it’s the role of writers, people like me, to try to speak out about this, to remind us all about [crosstalk 00:12:28] and our moral obligation. 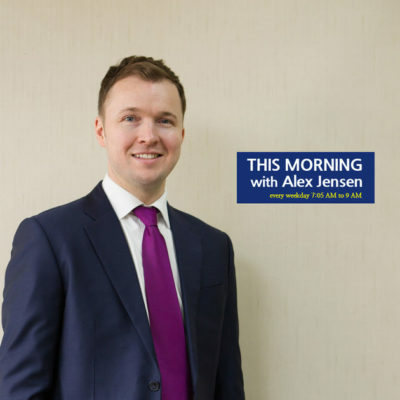 Alex Jensen: We are now out of time, but very briefly, is that something that will inevitably find its way not just into your voice but into your writing? Viet Nguyen: Oh, of course. 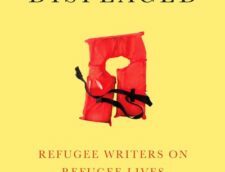 I write about it all the time in op-eds and things for the newspaper, but it does surface in the fiction and I just edited a book called The Displaced: Refugee Writers on Refugee Lives, featuring 17 writes from over a dozen different refugee experiences all over the world speaking exactly about these kinds of issues. Alex Jensen: Well, please do keep up the fight and we’ll watch out for your future work after an incredible start with the 2016 Pulitzer Prize winning The Sympathizer. Professor Viet Thanh Nguyen from the University of Southern California, great to have you with us on the line today. Viet Nguyen: Thank you so much, Alex. It was a real pleasure.